I am off traveling, so I scheduled this thoughtless post for today. It's a juxtaposition of conventional wisdom! Wisdom #1: I have nothing against God or spirituality. I just don't like organized religion, with all its human corruption. Wisdom #2: I draw a careful distinction between people and their ideas. Even as I criticize ideas, I have respect for the people who hold them. I have a clock next to my bed, nothing particularly special about it. But there is something wrong with it. Most of the day, it tells the right time. But every day, there are times when the clock is an hour fast. At another time of day, the clock is an hour slow. What's wrong with my clock? Clever me, I gave away the solution in the original puzzle, but with two sectors switched. It makes the image editing easier. There's a slight bit of trickiness in the solution: one of the disks has been flipped over. The full sequence of numbers will repeat every twelve numbers. The sum of the twelve numbers must be the square of the number of transparent sectors. A zero in the sequence proves that no more than 6 sectors are transparent. If the disks are not flipped relative to each other, then the sequence will look like A,B,C,D,E,F,G,F,E,D,C,B. 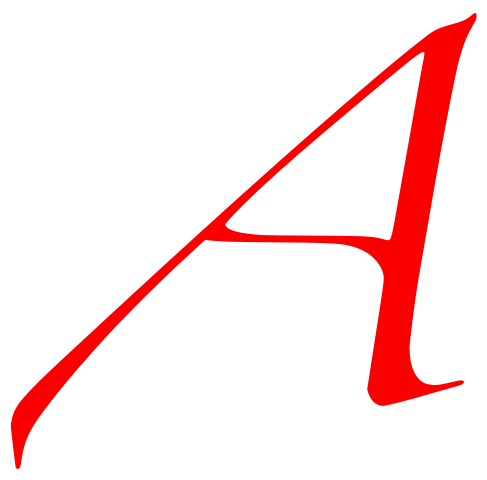 'A' must equal the number of transparent sectors. Let's say that each disk has 6 transparent sectors, the disks are flipped relative to each other, and that part of the sequence looks like 0,A,B,C,D,... Then there are exactly A transparent sectors such that if we go 1 sector clockwise, the sector is opaque. There are exactly B transparent sectors such that if we go 2 sectors clockwise, the sector is opaque. And so forth. If you can justify each of these facts, then the rest is mostly trial and error. Let's revisit the modal ontological arguments for God. Though I have covered these arguments and variations at length, and have not changed my opinion about them, I didn't necessarily cover them in the clearest manner possible. It's a tough balance, because for most people, symbolic logic is like math. Math = scary! Other readers understand the symbolic logic, but clearly have difficulties translating between the symbols and their underlying meaning. My goal is to explain it so both groups understand what I'm saying. Definition: If God exists, then God necessarily exists. Premise: It is possible that God exists. I omitted the mess of logical reasoning because I don't want to scare away my readers. Unfortunately, this makes it difficult to convey the amount of respect the logical arguments deserve. Richard Dawkins and other atheists often seem to think it's all a bunch of high-sounding gibberish. And perhaps it is. But that particular gibberish is absolutely solid, as solid as 2+2=4. There are basically two reasonable objections to the argument. Either we must object to the premise, or object to the definition. To explain the problem with the premise, I must distinguish between two kinds of possibility. Epistemological possibility: For all we know, God exists. Modal possibility: Among the set of "possible worlds", there exists a world in which God exists. The conclusion of the proof follows only from modal possibility, not from epistemological possibility. However, the epistemological statement is the one that is intuitively true, while the modal statement could be true or false. Modal possibility is intended to be a translation from epistemological possibility to logic, but the translation is not perfect. In particular, the translation fails when we talk about the set of possible worlds itself. Epistemological statement: For all we know, the universe is deterministic (ie there is only one possible world). Modal translation: Among the set of "possible worlds", there exists a world in which it is true that there is only one possible world. The epistemological statement is sensible, but if we naively copy it as a modal statement, it's a mess. The first statement only says that the universe may be deterministic, while the second statement can be used to prove that the universe must be deterministic. Clearly, we need to be careful with our translations when discussing determinism. Similar to determinism, the existence of God also says something about the set of possible worlds. If God exists, then s/he exists in all possible worlds. If an object does not exist in all possible worlds, then we cannot call it God. So we need to be careful with our translations when discussing God too. Logical translation: God exists, or God does not exist. The conclusion of the ontological argument does not follow from this proper translation. Even proponents of the modal ontological argument must accept that there are problems with translation. If we take the statement, "For all I know, God doesn't exist" and naively translate it to modal logic, then we would conclude that God doesn't exist. Some ontological arguments have a cleverer premise to replace the old one. Old Premise: It is possible that God exists. New Premise: There is no contradiction in the existence of God. In other words, God is "consistent." The old premise logically follows from the new one. If you're familiar with symbolic logic, I hope you already knew this. If not, here is a simple proof. Suppose that the old premise is false; it is not possible that God exists. The statement "If P, then Q" is always true if P is false. Likewise, the statement "If God exists, then Q" is always true, because God doesn't exist. It's true even if Q is a contradictory statement (ie "God is blue and not blue"). Therefore, the new premise is false; the existence of God implies a contradiction. If the old premise is false, then the new premise is false. Equivalently, if the new premise is true, then the old premise is true. But now we will run into another problem of translation. I will distinguish between two kinds of consistency. Self-consistency: The object has no contradicting properties in its definition. Logical consistency: The object implies no contradictions. Proponents of the ontological argument often expect me to disprove the self-consistency of God. Perhaps they expect me to argue that God's omnipotence contradicts its omniscience, or something like that. But they fail to realize that I don't have to. The proof requires logical consistency, not self-consistency. Self-consistency is not sufficient to establish logical consistency. For an object to be logically consistent, not only must its definition be properly formed, but the world must cooperate. (More precisely, the set of "possible worlds" must cooperate.) Suppose that the world does not cooperate, and the object does not exist. If the object does not exist, then the existence of the object implies a contradiction. Namely, it implies that the object both exists and does not exist. I didn't even have to look at the definition of the object. Of course, I don't know whether the world cooperates with the ontological proof or not. The proponents have no idea either, but think they do. Philosophers ought to teach themselves some mathematics. In geometry, there is a famous axiom called the Parallel postulate. It is famous because many mathematicians thought they could prove it. Modern mathematicians know that it is impossible to prove, because there is no contradiction in assuming it false. Likewise, it is impossible to disprove. The Parallel postulate is self-consistent. The negation of the Parallel postulate is also self-consistent. But in any given geometrical system, only one can be true. Thus, only one can be logically consistent. If we define a fork to be an object with a handle and prongs, then we can give the following statement: "If a fork exists, then it has prongs". If a fork does not exist, we can't even talk about "it", much less ascribe it properties. If an object does not have prongs, then it is not a fork. That is the rationale behind the definition. How can you disagree with a definition? Can't we define any object we like? If the definition makes no sense, can't we just say that the object doesn't exist? I don't know about philosophy, but in mathematics, you can't just define any object you like. Consider the set of all sets that do not include themselves (like the male barber who shaves all men who do not shave themselves). Call this Russell's Set. In "naive" set theory, you are allowed to define any set you like, including Russell's set. But Russell's set leads to a paradox. Therefore, "naive" set theory is inconsistent. Naturally, mathematicians want a set theory that doesn't have paradoxes. So they formulated Zermelo-Fraenkel set theory, which has specific rules dictating what sets you are allowed to define. These rules do not allow us to define Russell's Set, and thus avoid its paradoxes. Is modal logic more like "naive" set theory, or like Zermelo-Fraenkel set theory? Can you define anything you like, or do you have to follow specific rules? I suspect it depends on your choice of axioms. It's a difficult question that I don't feel qualified to answer, which is why I prefer objections to the premise. For what it's worth, Immanuel Kant's original objection to the ontological argument might fit in this category. Kant argued that existence is not a property that you can include in the definition of an object. Many proponents of ontological arguments like to have it both ways. On the one hand, we are allowed to define God. On the other hand, we are not allowed to define "the unicorn which necessarily exists." But to be fair, they're not exactly parallel. In most ontological arguments, God is not defined as "the deity which necessarily exists". Rather, God has a much more specific definition. Definition: If God exists, then s/he is the greatest being conceivable. Additional premise: We can conceive of a being as greater by conceiving it as necessarily existing. I think that this new definition hurts the ontological argument. For one thing, we have a whole new premise. I don't have any particular problem with the premise, but it just seems so extraneous and unnecessary. I refuse to argue with the additional premise, because it seems like a tactic to draw attention away from the real flaws of the ontological argument. In my naive optimism, I expected this tactic from conspiracy theorists, not philosophers. And the new definition does not help in the slightest. Let's say that Russell is the name of "the male barber who shaves all men who do not shave themselves. As I said before, in Zermelo-Fraenkel set theory, there are rules against defining Russell. If we are not allowed to define Russell, then obviously, we are also not allowed to define Russell's wife! Russell's wife may not have any self-referential paradoxes, but she requires the existence of Russell, who does have self-referential paradoxes. Let's say we have a rule against defining necessarily existing beings. Obviously, we are also not allowed to define the wives of any of those beings. We are not allowed to make any definition which implies necessary existence. If we accept the additional premise, then the definition of God implies necessary existence. Therefore we are not allowed to construct the definition of God. I've written over 1600 words now, so I think I'm done. Dear readers, you are lucky that I'm on spring break (or unlucky, if you see it that way). Multiple past experiences tell me that someone trained in philosophy will start lecturing me about implication, contingency, and other things. You're welcome! But a few notes: 1) I'm not an idiot when it comes to logic. 2) Philosophers who do not know how to communicate are useless. 3) I do not necessarily agree with the objections to the definition. 4) I view the ontological argument the same way I view a fun proof that 0=1. James "The Amazing" Randi is a skeptical hero. He is best known for exposing frauds like Uri Geller the psychic and Peter Popoff the faith healer back in the 70's and 80's. He also founded the James Randi Educational Foundation and its One Million Dollar Challenge, which offers $1,000,000 to anyone who can prove a paranormal claim. At age 81, James Randi has publicly come out as gay, both in an interview and in the JREF newsletter. Some readers are confused. Is this a big deal, a tribute to social progress and to the diversity in the skeptical movement? Or is it something to be shrugged off, the same way we would shrug off the revelation that Phil Plait is straight, and happily married too? It's okay to be confused, because it's sort of both. I, for one, am very happy about the announcement. As regular readers know, I recently came out myself, and that was a huge deal to me. So of course I think it's a big deal someone as awesome as Randi comes out, and in his 80s too. Being gay 60 years ago could not have been easy. 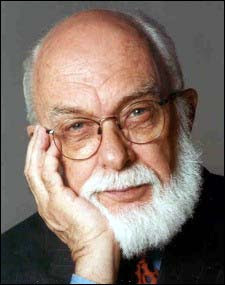 James Randi is now the most prominent skeptical celebrity who is not heterosexual. Before this announcement... let's just say I wasn't aware of any well-known ones. But it's not a big deal, because James Randi is still the same skeptical hero he was before. Heterosexual privilege #38: You can be open about your sexual orientation without it being the focus of any public career you may have. I'm happy that we're at a point where non-heterosexuals can do the same. And the reason we now have this privilege, and others, is thanks to many public figures who came out, just like James Randi. James Randi was previously only out to close friends and colleagues, but he was inspired by the film Milk to state it as publicly as possible. Good for him! In the Theory of Relativity, there is a famous equation involving energy. No, not that one! That equation doesn't include kinetic energy. Here's a more complete equation. Okay, but if you don't know what all those letters mean, it's just a bunch of math gibberish. For now, there is only one part of the equation which is important, the E2. E is, of course, the energy. But because we squared the energy, it could be negative or positive. Just looking at the math, both the positive and negative energy solutions make just as much sense. It may make mathematical sense, but is it real? Let's go back to the early 1900s. Einstein published Special Relativity Theory in 1905 and General Relativity Theory in 1915. Quantum Mechanics became established in the mid-1920s. If you read popular physics literature, you already know that there is a bit of a conflict between Relativity theory and quantum theory. String Theory, for instance, is an attempt to combine the two. But you have to be careful. The conflict is between quantum theory and General Relativity. Quantum theory and Special Relativity have already been combined. One of the big steps towards combining the two occurred in 1928. Paul Dirac formulated the Dirac Equation, which is basically a quantum version of the above equation. As it happens, the Dirac Equation has the same issue: the energy can be positive or negative. This issue was hard to ignore, because the theory predicted that particles would jump between the positive and negative energies. So in 1929, Dirac proposed a solution called the Dirac sea. The negative energies are real, but they're already filled up with a "sea" of particles. As I explained before, it's not possible for two fermions to occupy the same state. And in quantum theory, the possible energy levels are discrete, meaning you can count them one by one. If all the negative energy levels are filled, then it's impossible for any more electrons to fall into the negative energy levels. Each horizontal black line represents an energy level. The higher the line, the higher the energy. The red circles represent electrons which fill the levels. What happens when you give the system a good kick, and one of those electrons in the Dirac sea jumps up to a positive energy? We got two things out of that kick. First, we got a brand new particle from nothing. Second, we got a "hole", an empty energy level which would normally be filled. The hole is not a particle per se, but a lack of a particle. It has the opposite charge, opposite spin, opposite everything of a normal particle. It even has the opposite energy, but since it's in a negative energy level, the opposite of a negative energy is a positive energy. We can basically treat the hole as a new kind of particle, called an antiparticle. If a particle is a fermion, then it must have a corresponding antiparticle. The antiparticle has the opposite charge but the same energy. The antiparticle of an electron is called a positron. Antiparticles are awesome because you can create them with nothing but a kick of energy. This is called pair production. Also, if a particle and antiparticle meet, they can disappear, leaving energy in their place. The technical term for this is annihilation. Motivated by Dirac's new idea, the positron was discovered in 1932 by Carl D. Anderson, earning him the Nobel Prize in 1936. Incidentally, the positron had been observed in 1923, but no one really knew what it was back then. Positrons have real applications too. The P in PET scan stands for positron. First you inject a positron-emitting tracer into the subject, and then a device detects the positrons. PET scans can do all sorts of useful things, like find tumors and image brains. But, hey, don't give physicists all the credit, I'm sure engineers and doctors deserve some too. 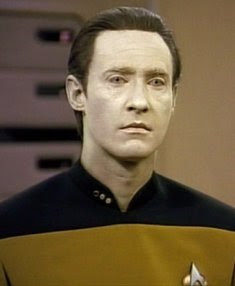 Positrons are also a vital component of the positronic brains of sentient androids. Clearly, antiparticles have many present and future applications. Going back to our first question, is it real, or is it just math? Are antiparticles really just holes in the Dirac sea? Perhaps, but there are problems with the theory. In most systems, there would be infinitely many energy states, going up higher and higher. Therefore, there are also infinite negative energy states, going lower and lower. Are we willing to accept that there is an infinite sea of particles filling those states all the way down? And if we're talking about electrons (or any other charged particle), wouldn't that mean that a pure vacuum has an infinite charge? Antiparticles clearly exist, but some of the other implications of the theory are just weird. So how can the Dirac sea be real? Ask me a question anonymously. Ask about me, my opinions, physics, whatever. Let's see what happens. I will probably delete the Q&A page once I'm bored with it. In the mean time, I'll leave a widget on the sidebar. Today is March 14th, Pi Day. It's also Talk Like a Physicist Day, which is something the internets made up so they can geek out a bit. I think I must talk like a physicist all the time. My casual conversation is peppered with things like "within an order of magnitude" and "negligible". I'm not sure this is a behavior I should encourage, since my non-physics friends probably have no clue what I'm saying. But just as physics terms have affected my slang, could slang affect the language of physics? Some people on the internets hope so! Austin Sendek, from UC Davis, started a Facebook petition to make "hella" a new SI prefix. I'm sure you're all familiar with at least a few of the SI prefixes. A kilometer, for instance, is 103 meters. A centimeter is 10-2, or 1/100th of a meter. There are a bunch of other SI prefixes, listed below. But to be honest, I had to look most of these up. If you start talking about zeptoseconds or petagrams, even physicists will give you strange looks. For most practical purposes, we never go beyond nano- or giga-. If you want to go further, you use scientific notation, or you find new units. For instance, one lightyear is about 10 petameters, but guess which unit is used more often. But don't let that stop you from memorizing all the prefixes! The goal of the "hella" petition is to make hella- the prefix for 1027. For instance, the earth is about 6 x 1027 grams, or about 6 hellagrams. Isn't that hella cool? It's also probably ultimately pointless, much like Pi Day and Talk Like a Physicist Day. But don't tell the internets I said that. For the benefit of non-California residents, I should explain that "hella" is slang meaning "very". Example usage: "Physics is hella fun!" The slang is primarily used in NorCal (north California). As for people in SoCal, they mostly know "hella" as that annoying slang that NorCal people use. They also mostly know NorCal folks as those people who use that annoying slang "hella". I'm a SoCal person myself, but I don't mind "hella". This is probably because I plan to betray SoCal and move to NorCal sometime in the future. There really is no other explanation. Other ways of knowing: Law? When people say the phrase "other ways of knowing", they almost always refer to spirituality or religion as an alternative to science. I don't think spirituality or religion are valid ways of knowing. That doesn't necessarily mean they have nothing to offer, it just means that among the things they offer, truth is not one of them. But of course, that doesn't necessarily imply that science is the only way of knowing. I recently took a class that compared evidentiary practices in different disciplines, and I have been firmly convinced that science is not the only way of knowing. Case in point, a court of law is a way of knowing whether the defendant is guilty of some crime. A court of law involves lawyers to present the evidence, juries to make inferences from the evidence, and judges to oversee the whole process. The evidence consists of testimony, writings, and objects. None of the people involved need be scientists. Some of you may feel that the imperfections of law somehow disqualify it as a "way of knowing". Think of O.J. Simpson, who was acquitted of murder, even though we're pretty sure he did it. But who among us is so naive to say science is perfect? Personally, I feel that the scientific discipline follows higher standards than law, but it would be quite arbitrary and self-serving to pick a standard which is just low enough to qualify science as a "way of knowing", but just high enough to disqualify law. Another possible objection is that a court of law is merely practicing a kind of science, if not the formal discipline of science. Perhaps so. But we say this in the same sense that we say toddlers are "natural scientists" whenever they tear wings off flies to watch their reactions. As much as I love framing kids as little scientists, as if all humans had a natural capacity for science, it makes about as much sense to call them "little lawyers" or "little jurors". Everyone has the natural capacity to be a juror. So if anyone asks you if there are other ways of knowing besides science, you can say, "Yes. A court of law is another way of discerning truth." Now that we have a specific example of "another way of knowing", we can get the ball rolling and think of more examples. How about history? And journalism? As much as we may criticize journalism, it is surely better than random guessing. I propose that skepticism is another "way of knowing", strongly influenced by science, but different from it. Skepticism has informal rules about how to find evidence, how much weight to give different kinds of evidence, and how to make inferences from that evidence. Unlike the other disciplines, skepticism is a discipline for lay people. You don't need to be a scientist to do it, except in the sense that we're all scientists... in our hearts. Time for a bit of history. The DSM is the Diagnostic Statistical Manual of Mental Disorders. It's published by the American Psychiatric Association, and is known as the "psychiatrist's Bible". Currently, the fifth edition, DSM-V, is being prepared for publication in 2013. Homosexuality was originally classified as a disorder by the DSM, but it was removed in 1974 thanks to gay activists and new research. However, that's not the end of that story. The DSM replaced homosexuality with a category called "sexual orientation disturbance", later renamed to "ego-dystonic homosexuality". It was only really removed in 1987, though it is still mentioned in the category of "sexual disorder otherwise not specified". Intuitively, the diagnosis of ego-dystonic homosexuality seems wrong to me. In my own experience, questioning my sexuality was very distressful. Most gay people did not even have my advantage of starting from a queer-friendly perspective. And of course, gay people can be unhappy for all sorts of reasons. Being in a sexual minority makes it easy to blame any unhappiness on one's sexual orientation. Do gays need to force a smile just so they can be considered healthy? However, I do not wish to assume my intuition is shared by everyone. So I followed one of the references on Wikipedia to this article: "The diagnostic status of homosexuality in the DSM-III: a reformulation of the issues". It was written in 1981 by Robert Spitzer, who was a major player in DSM-III. I do not necessarily agree with Spitzer, but he had lots of great insights. What is the purpose of classifying something as a disorder? To call something a disorder is to encourage a set of actions by society, caretakers, and people with the condition. Society and caretakers provide a way to treat the condition or a way to live with it. The people with the condition are called to take the role of patients. What qualifies as a disorder? According to DSM-III, a condition is a disorder if it causes distress or if it causes impairment in an important function. He recognizes that the latter is subjective, since you have to judge which functions are important and which are not. For most disorders, nearly everyone agrees on the judgment, but this is not the case for homosexuality. Spitzer mentions that if we consider sexuality to be an important area of functioning, then lack of sexual desire could be considered a disorder, regardless of whether distress is present. Spitzer believes the cause of the disorder is irrelevant. So is the existence of a treatment. Why do people think ego-dystonic homosexuality should be removed from the DSM? Some opponents claim that heterosexuals are also frequently distressed by their sexual impulses. Should they be diagnosed with ego-dystonic heterosexuality? Doesn't it show prejudice to have one category and not the other? On the other hand, is the distress experienced by both groups really the same? Opponents also say that there are already categories for the people who would fit under ego-dystonic homosexuality. If the person is depressed, there is the diagnosis of depression. If the person is compulsive about their sexual impulses, there is the diagnosis of obsessive compulsive disorder. Spitzer replies that ego-dystonic homosexuality is fundamentally different from those other diagnoses. By including this category, DSM-III acknowledges that at least in some cases, an appropriate therapeutic activity is to help the individual develop a normative sexual arousal pattern and not merely to become more comfortable with his or her homosexuality. This strikes me as a compelling reason to remove the diagnosis of ego-dystonic homosexuality. In discussing compatibility of science with religion, it's easy for atheists to miss the real problem with most religious beliefs. It's not that they conflict with science, it's that they conflict with critical reasoning. For instance, if we're talking about moral beliefs based on some sacred text, there's obviously no scientific study that can show that they're incorrect. But critical thinking can show that this is a very poor basis for moral beliefs, as evidenced by all the other moral lessons from sacred texts that we do not accept. And since critical thinking is advocated by skepticism, we should ask whether skepticism and religion are compatible. I was going to divide "compatibility" into different definitions again, but then I decided that it was somewhat pointless. If I said that science and religion are compatible or incompatible, then I'm talking about a particular set of methods and conclusions conflicting with religion. But critical thinking is much more broad than science. It's not just a set of methods to discern truth, it's the set of all methods which can discern truth. So if I just say that religion conflicts with critical thinking, I'm being awfully unspecific. All I've said is that there exists some line of reasoning which says religion is wrong. Which line of reasoning, you ask? One of the valid lines of reasoning. To be fair, I might be using rather broad definitions of skepticism and critical thinking. Daniel Loxton recently stated his opinion that "the core claims of most religions are out of scope for science, and thus for scientific skepticism." This is based on his opinion that skepticism is properly narrow in scope, and goes no further than science. Thus, for Daniel Loxton, asking whether skepticism is compatible with religion is the same as asking whether science is compatible with religion. Just as Daniel equated skepticism with science, I have equated skepticism with critical thinking. Maybe it really occupies a middle ground between science and critical thinking. Skepticism can be a tricky thing to define. Luckily, the definition is moot; the classification of something as "skeptical" confers it no special authority. We can ask the more practical question of how skeptical organizations and writers should treat the topic of religion. Incidentally, I am both a skeptical writer and a president of a skeptical organization. I have probably already expressed my opinions on the matter through my actions. But allow me to also express them through words. The scope of skeptical discussion depends entirely on the context and medium. In a group of college students, there is little point in trying to cut off discussion of topics, just because they're not "skeptical" topics in the narrow sense. In a more formal context, like the Skeptical Inquirer, I hope the writers stay closer to science, at least on the magazine pages. But whether the context is more formal or more relaxed, there is no point to enforcing conformity of religious beliefs. In fact, I would recommend against enforcing any sort of conformity at all, especially considering the individualism among skeptics. If you're going to define skepticism as broadly as I have, there will be a lot of disagreement among skeptics on skeptical topics. I know several religious skeptical people, and yes, I do disagree with them. But then I also disagree with the vice-president's views on how evolution impacts morality. I disagree with the secretary's view of animal rights. Even if we limit ourselves to religion, I have some disagreements with my friends about the right way to refute the cosmological and ontological arguments. If we discouraged disagreement on religion, that would not only be bad in itself, but also discourage other disagreements, since people will be afraid of "stepping out of line". Some skeptics think that religion is somehow a fundamentally different kind of disagreement. How so? How does that merit different treatment? This is one of the puzzles I wrote back in the day. It involves a decent amount of logic and a touch of cleverness. I have this disk. It's shaped like a CD, and divided into twelve sectors. Some of those sectors are opaque, and some are transparent. But the opaque and transparent sectors are not arranged in the particular order shown above. Actually, I have two disks like this. They're completely identical to each other. I place the two disks on top of each other. You can see through some sectors and not through others. And then I begin to spin the top disk. Every time it rotates one twelfth of a full circle, the number of transparent sectors changes. It forms a sequence of numbers. Which sectors of the disk are transparent, and which are not? If there exist multiple universes, humans are that much more likely to exist. Therefore, we are much more likely to find ourselves in a multiverse than a lone universe. This argument is similar to the fine-tuning argument. But let's call it the "More is Better" argument. I disagree with it. But first, we cannot call it "the multiverse hypothesis". If I simply stated that there are multiple universes, this would provide no explanations and make no predictions, because I have said nothing about the nature of these multiple universes. Literally anything is possible. To formulate a useful hypothesis, we need to be more specific about the nature of the universes. There are in fact many different multiverse hypotheses, each with different specifics. There are a bunch of questions we can ask about any multiverse hypothesis. Where does the idea come from? Are the universes such that there is a unique way to count them? If so, how many are there? What things are possible in these universes? Are we equally likely to find ourselves in any of the universes with humans? For example, consider the Many Worlds hypothesis, which could be considered a multiverse hypotheses, but is unusual in some ways. Many Worlds doesn't come from cosmology, but from certain interpretations of quantum mechanics. Contrary to the title, there is in fact only one universe in Many Worlds. However, this one universe is in a superposition of many quantum possibilities, and each of those possibilities might be considered an independent "universe" of sorts. The unusual thing about Many Worlds is that it explicitly states that not every universe is equally likely. Just because two universes contain me in it does not mean I am equally likely to find myself in either of those universes. For example, take the following thought experiment. Flip a coin. If it's heads, make a quantum measurement which has 1000 possible outcomes. If it's tails, don't do anything. Now there are 1000 universes where you got heads, and 1 universe where you got tails. Does this mean you were 1000 times more likely to get heads than tails? There's very little point in counting the number of "universes" in Many Worlds, because each universe is not equally likely. It would be like counting the pips on each side of a dice. Just because one side has six pips and another side has only one does not mean that we are six times as likely to roll a 6 as we are to roll a 1. Hypothesis 1: There are ten universes. Hypothesis 2: There are a hundred universes. Let's suppose that each of these universes contains humans like ourselves. There exist ten universes in which hypothesis 1 is true. There exist a hundred universes in which hypothesis 2 is true. Does this mean that hypothesis 2 is ten times more likely? Not necessarily, I think. It depends on your choice of prior probabilities. Usually, because prior probabilities are based on complete ignorance, you want to give equal likelihood to each possibility. But how do you count the possibilities? Do you say, "There are 110 possible universes, and I am equally likely to land in any of them"? Or do you say, "There are 2 possible multiverses (one with 10 universes, one with 100), and I am equally likely to land in either of them"? In statistical analysis, it's common practice to try a few different prior probabilities, and see what results you get. If you get completely different results from reasonably chosen priors, then that means the results are inconclusive. What if there is only a 1% chance that any given universe contains humans like ourselves? Does this change things? Under hypothesis 1, there is a 90% chance that there are no humans at all. Under hypothesis 2, there is a 37% chance that there are no humans at all. Clearly, if the hypothesis predicts no humans, then it must be false. Assign all universes equal prior probabilities. Then calculate the conditional probability for each universe, given the condition that humans exist. Hypothesis 2 is 10 times more likely than hypothesis 1. Assign all multiverses equal prior probabilities. Then calculate the conditional probability for each multiverse, given the condition that humans exist. Hypothesis 2 is about 3.7 times as likely as hypothesis 1. Assign all multiverses equal prior probabilities. Then calculate the conditional probability for each universe, given the condition that humans exist. Hypothesis 1 and 2 are equally likely. The fact that we get three different results with three reasonable methods of analysis suggests that we need more evidence to reach a conclusion. If you want to argue about Many Worlds, I want to hear about interpretations of quantum mechanics, not about the sheer number of worlds proposed by it. There are an absurd number of worlds in Many Worlds. Supposedly, the number increases exponentially with entropy. But this does mean that it is absurdly more likely than the alternative quantum interpretations? There's a class of multiverse hypotheses that proposes independent universes with different initial conditions beyond our observable horizons. This is plausible, but not because I think more is better. It's because we suspect the universe is infinite in size, though we may only see part of it due to the finite speed of light and finite age. Another kind of multiverse is the one where new universes are created as "bubbles" in the space-time of older universes. I don't care how many bubbles it supposes. If I wanted more evidence for this kind of multiverse, I would look to the theory of cosmological inflation, from which the idea arises. I don't have anything against the idea of a multiverse. I just prefer that they are supported by scientific theory, not philosophical arguments. If that means being inconclusive, then so be it.